HGA Architects designed a 30,000-SF, two-story addition that includes Operating Rooms and the Emergency Department plus another 40,000 SF of renovated space. 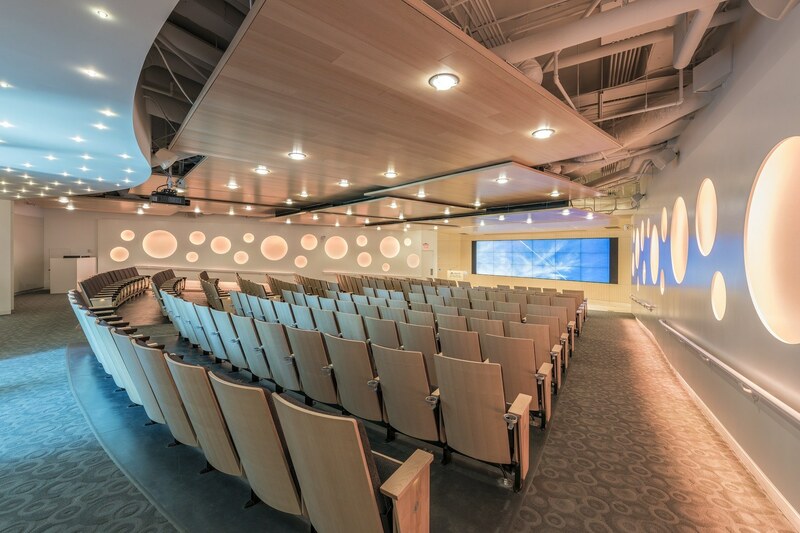 The facility includes the 300,000 SF primary addition designed by TK&A Architects and HGA Engineers. The overall design reinforces clear planning and circulation, both internally and externally, within the densely built urban campus. 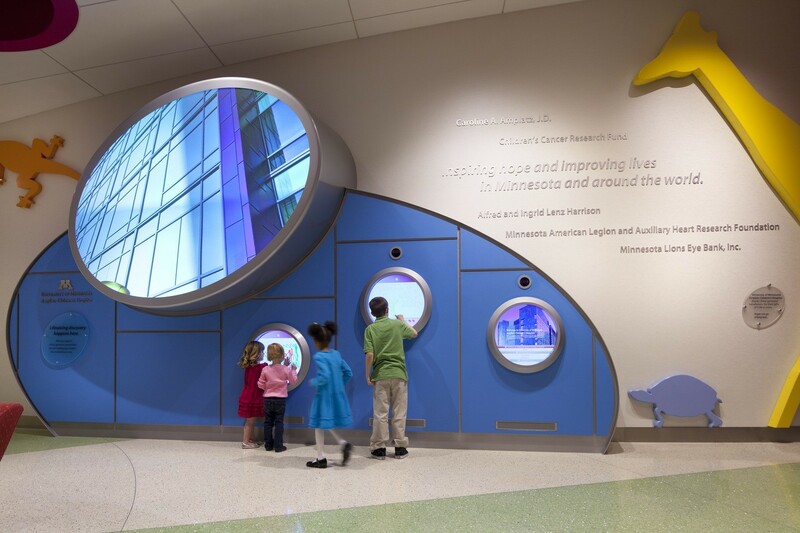 This distinctive addition helps elevate the Children’s Hospital’s visibility, attract top physicians and staff, and reinforces the University’s research and patient/family-centered care objectives. Traffic circulation patterns and roadways provide easy access for efficient drop-offs and arrivals. The upgraded electrical system replaces the existing main switch with a dual-feed automatic transfer switch. Since the campus needed to remain operational throughout construction, the electrical contractor assisted with changing out the electrical distribution equipment, provided clear documentation of existing equipment connections, and worked with the design team and hospital to plan each transition. 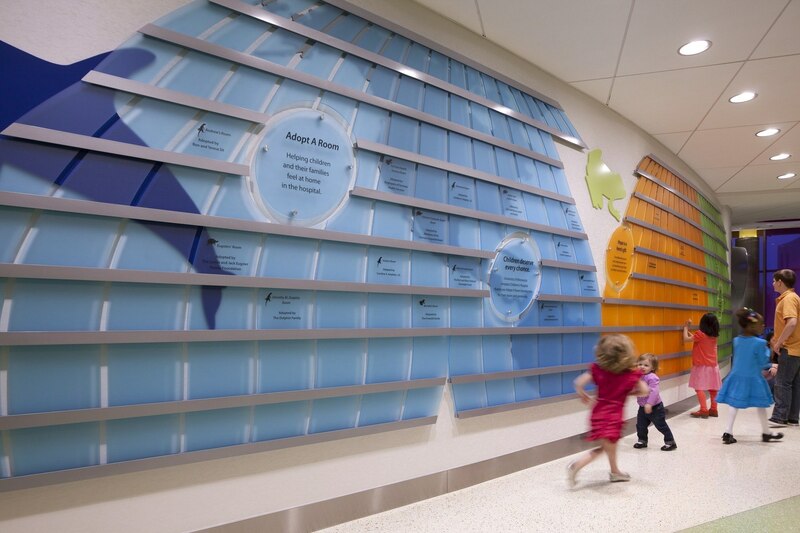 Utilizing Lean design principles, the project reinforces clear planning and circulation to optimize the patient and family experience and maximize caregiver-patient face time. Operationally, the design efficiently links clinical functions in the new tower with support functions in the existing building, as well as minimizes nurses’ walking distance between patient rooms in the 27,000-SF patient care units. Primary mechanical components include a new chiller, cooling tower, and related piping within the existing central plant. HGA also developed an Energy Control Module (ECM) that provides control of the chilled water central plant to optimize energy use. The engineering team worked with the controls provider to design program language that increases energy efficiency of the entire campus chilled water system. The MEP/Telecommunication systems enable the hospital to integrate advanced diagnostic and medical technology for optimal patient care.